If you’re travelling through Bogota or you’re an expat in Colombia, then heading along to Gringo Tuesdays at La Villa is a rite of passage. The night begins with some friendly language exchange, with different tables displaying what language is being spoken at each. After a couple of drinks, and as the salsa music is turned up on the speakers, it ends up being a night where new friends are made and you feel like you’ve travelled around the world without ever leaving the room. Gringo Tuesdays was created by the lovely Tiffany Kohl, who has also recently launched another language exchange called the Wednesday SpeakEasy, which takes place in the Centro Historico of Bogota, La Candelaria. I had the opportunity to chat to Tiffany this week and learnt more about what her experience living and doing business in Colombia has been like so far. From learning about cultural differences in the workplace to mastering Spanish as a professional, Tiffany says it has certainly been a challenge working and developing her own business in Colombia, but a rewarding challenge that she is proud to call her own. I moved to Colombia in 2006 through the international student run organization AIESEC to complete a six month internship in marketing and tourism. 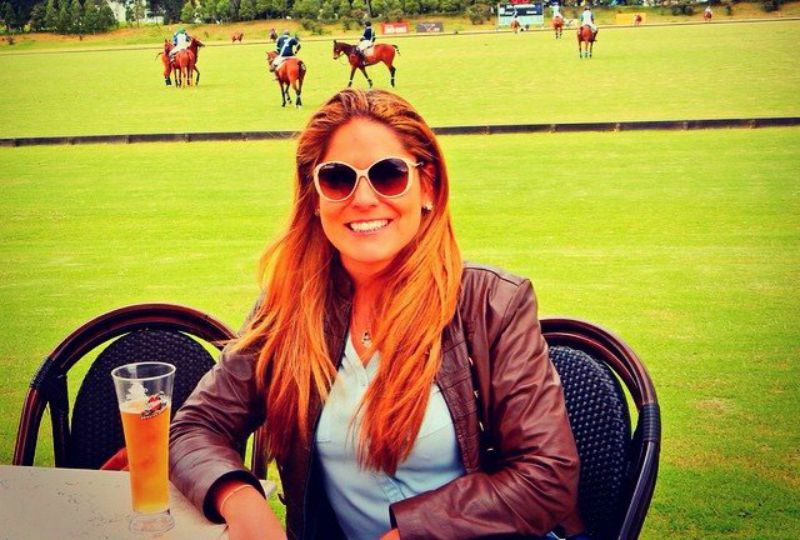 This was my first full-time job out of university and once I arrived in Bogota I fell in love with the country, culture and it’s people and have been here ever since. When I travel to a new country I try to keep an open mind regarding my expectations in order to live the most authentic experience possible. When I first arrived to Colombia I was immediately impressed and amazed by the contagious energy, positivity and friendliness of the Colombians I met. I was lucky enough to have mainly Colombian friends my first few years here and they not only showed me the best of their culture but opened their hearts and homes to me. Any potential expectations have been, and still continue to be, surpassed. 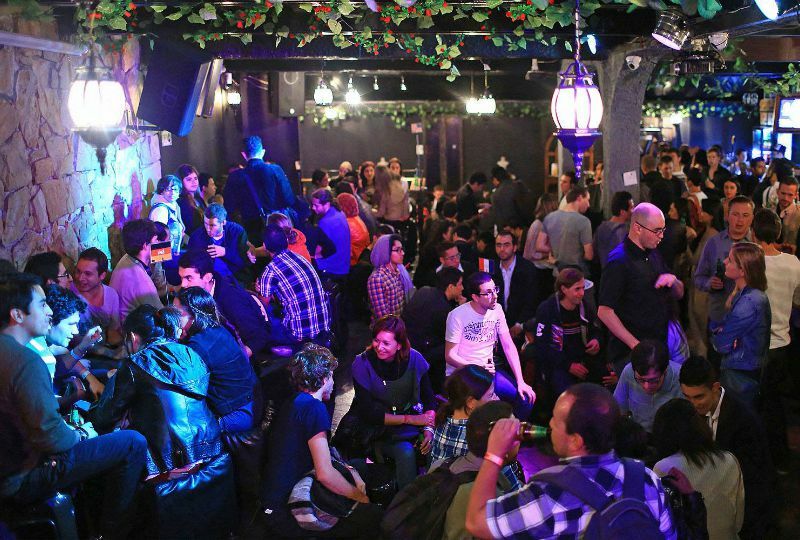 You run multilingual social get-togethers in Bogota, including the Wednesday SpeakEasy and Gringo Tuesdays at La Villa. How did that come about? I’ve been producing and organizing multicultural events since I arrived in Bogota and the language exchanges first began in 2011. The concept was based directly on my experience as a foreigner learning a second language, both in Colombia and also in Spain when I lived there as a student. Despite studying in the classroom, that alone was never enough for me to reach a level of fluency and I realized that my Spanish showed the greatest improvements when I was out having fun with native speakers. Language learning was no longer a chore or classroom assignment, but rather a way to connect and interact with my peers, meet new friends, date and learn about the country I was living in. When Gringo Tuesdays first began I wanted to recreate that experience. 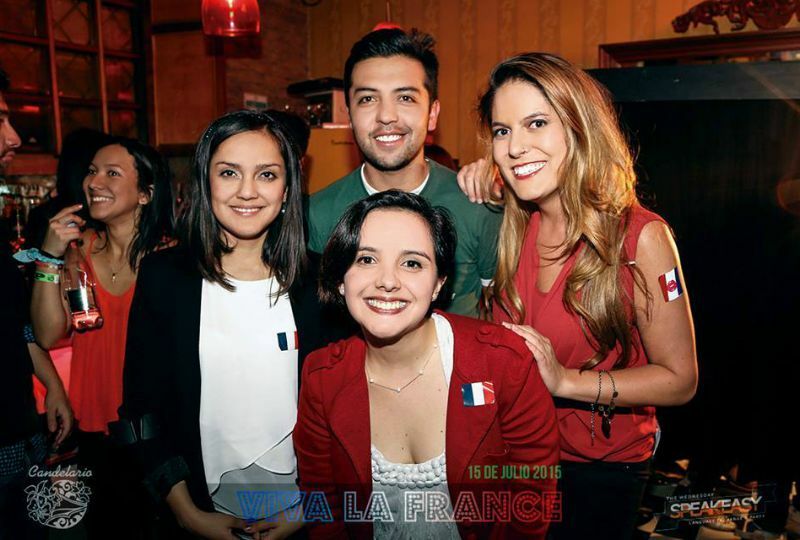 Not only for foreigners learning Spanish but also for Colombians that want to practice various language, meet international friends and essentially travel the world without having to leave Bogota (or buy the expensive plane ticket!). What do you love about hosting these events? I love bringing people together. That has always been my biggest passion and driving force behind the events I organize. It’s a great feeling to watch people connect over a common interest, who possibly would never have crossed paths in their daily lives but now because of an event have had the opportunity to exchange ideas and see the world through someone else’s eyes. I feel that my greatest personal success is simply that as a single woman arriving in a foreign country at the age of 22 I have made a home, business and life here that is completely fulfilling and gratifying. Over the last nine years I have faced many challenges, setbacks and failures however my love for Colombia pushed me to not give up and rather learn from those experiences. Now that I do have several successful events and companies I am both proud of my accomplishments and eternally grateful for the opportunities I’ve had that have led me here. 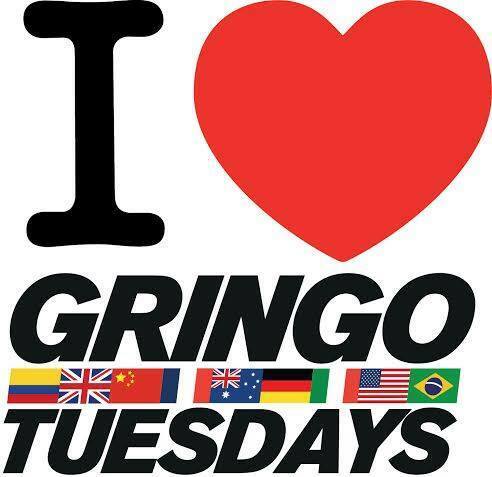 Gringo Tuesdays!! Ok, but in all seriousness…just by going out and making the effort. 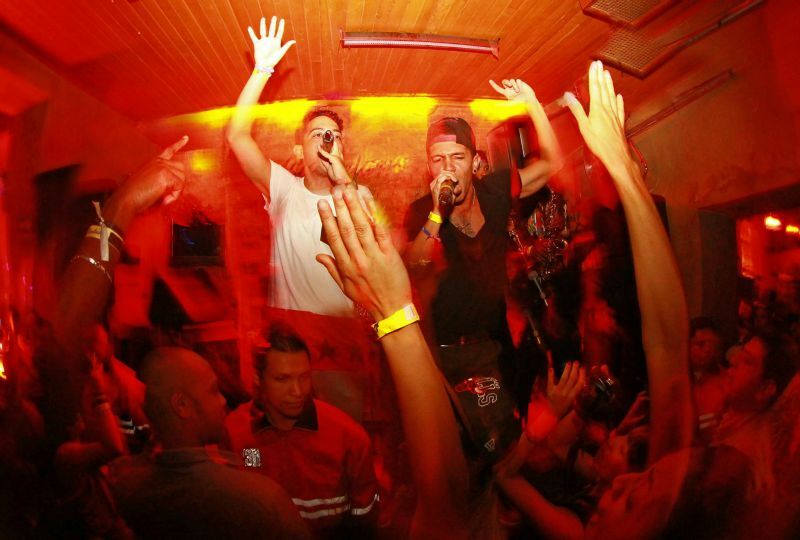 Bogota has hundreds of social events ongoing, find what interests you and force yourself to go out, even on your own. Colombians are the friendliest people I’ve met and the expat community is also an open place that tends to stick together and support each other. So make sure to attend the next Internations or Couchsurfing event, art gallery opening, wine tasting, city walking tour, food festival or (any) free language exchange and commit to meeting at least one new person each time. Soon you will have more friends than you know what to do with! Cheese. With more cheese, and then topped off with…..cheese! Doing business in a culture different from your own. It’s a steep learning curve and there will always be things that frustrate me or still don’t make sense no matter how long I live here. However, I am the guest so it is up to me to adapt, not the other way around. And these challenges keep life (and work) interesting! What are some of the challenges you experienced when first learning Spanish? Holding my own in a professional environment. I arrived in Colombia with a conversational level of Spanish, however I had never studied business Spanish. During my internship no one at the office spoke English and every day it was a struggle to keep up with new vocabulary and speaking on the phone with impatient clients. It was difficult and often frustrating however in those six months my Spanish improved drastically. Do you have some advice to give people looking to live or travel through Colombia? Get ready for an experience of a lifetime. And when they say that ‘The only risk is you’ll want to stay’, you should believe it. There is an energy about Colombia, something very unique and undeniable, that attracts people and often leads to them staying or returning to build a life here. A lot is happening here and the level of innovation, entrepreneurship and creativity of the Colombian people is astounding…immerse yourself in it and if you are lucky some of it will rub off – the energy is quite contagious! Always! The Wednesday SpeakEasy is my newest project and we are constantly innovating to create new experiences, especially as the city center has such a great history and tradition, it’s the perfect setting to grow the language exchange events and international parties. The website is www.wednesdayspeakeasy.com. There are a few new projects in the works as well, new venues that I will be launching, so the best way to find out about the openings and events is to catch me on the social networks, either Facebook, Twitter (@Tiffany_kohl) or Instagram (Tiffkohlombia) and I will be posting updates on all the new happenings! Very cool. I’m heading to Colombia in the fall and desperately want to practice my Spanish more. Sounds like fun. And to think I had previously been contemplating whether or not to skip Bogota as a bounced around the country! OOh you must go to Bogota. One of my absolute favourite places. So much to see and do, so much culture and food. If you do end up going to Bogota, you might like this post about how not to ruin your stay there. http://www.sarepa.com/2014/09/02/10-ways-to-ruin-your-trip-to-bogota/ Thanks for commenting, Rachel. And enjoy Colombia!